This large Superior Shed is 3.0 x 6.0m, and it has been installed at our customer’s new home in Withington, Gloucestershire to help with storage since they don’t have a garage. 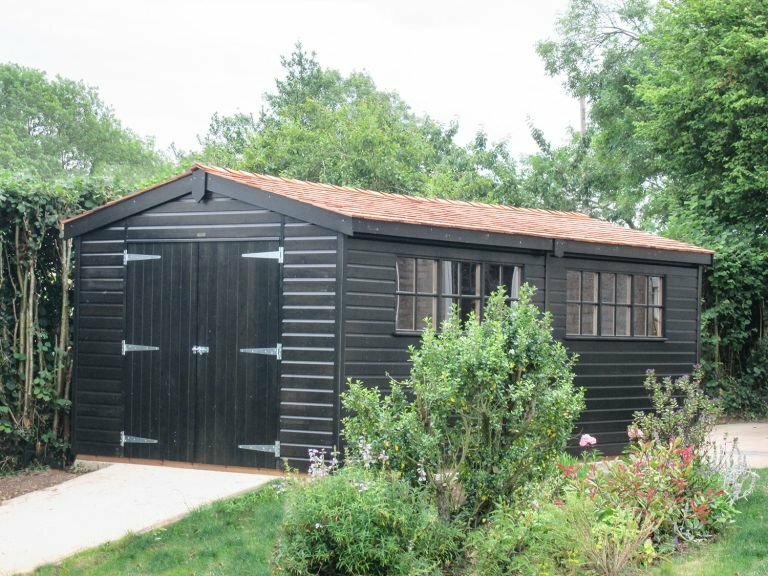 The large interior means that the customer has a storage solution to replace the garage. 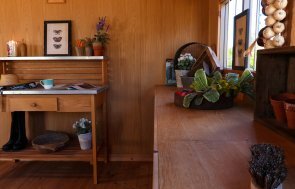 And, unlike a garage this storage space boasts style and multiple windows, letting in natural light where most garages don't. Cedar shingle tiles have been used on the roof to provide a natural, durable and attractive covering. To go with the shingles, the customer also opted to have their shed painted in Black from our Sikkens timber stain range. Black is a striking, but equally stylish colour that works well in any garden, and with the addition of the Georgian windows achieves the desired country style. There are double doors in the front gable to allow larger items to move in and out easily, and then there is also a single door in the rear gable, so the customer doesn’t have to manoeuvre all the way around with awkward items. 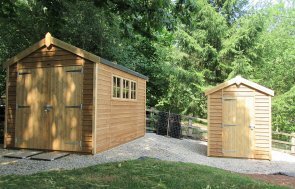 For more information on our Garden Sheds, you can contact us online, call us on 01760 444229 or come and visit our Burford Show Centre.